Training customers with an LMS is a great way to improve their experience with your product or service. In a previous post, we’ve detailed how customer training helps to boost customer retention and increase revenue. To run a great customer training program you need to know how well your eLearning courses are performing. Finding the right reports to run and the best way to interpret the data is key to improving your efforts, and reaping even greater rewards. 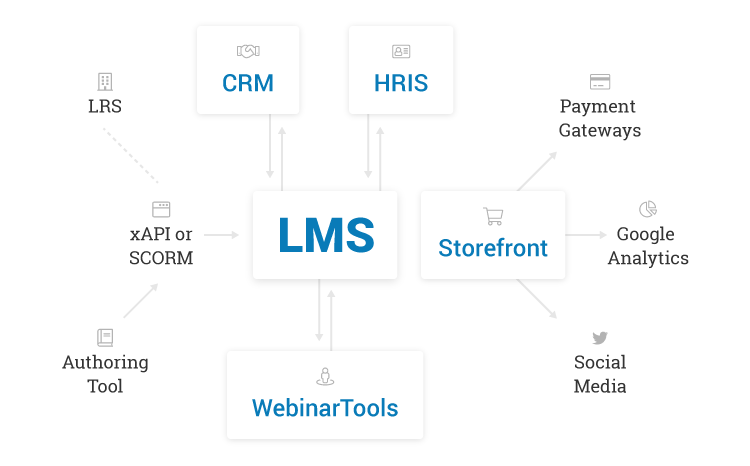 In this post, we run through the best LMS reports you can use for customer training. You can produce reports on your training programs within your learning management system. This information gives you a clear picture of how each customer training program is performing. With this information, you can improve how you are delivering courses. Here are some of the most common LMS reports used by businesses training their customers. And why they’re used. Course Status Report: This report contains data on you how learners are progressing within each of their assigned courses. Course History: This report provides you with information on each learner’s full training history. Exam/Quiz Results: Customer training may feature courses that contain quizzes or exams. This report gives you insight into which exams your customers have completed along with their results. Certification: This report details the certifications your learners have achieved. Survey: Surveys are an important tool for gathering feedback. This report contains feedback from your customers submitted via survey questions contained within a course. Webinar Attendance: This report tracks the attendance of both in-person classroom sessions and webinars. Gamification: Track gamification results like points, badges or the level your learners have achieved. With these reports, you can build a picture of each customer’s training experience. Which courses were assigned or self-enrolled? How did the customer progress? You can compare this data with other business systems to see how training affects other areas of your business such as relationship management or customer support. Comparing your LMS data with your CRM data shows you how training has affected your customers. Educated customers understand your product or service better. They are onboarded more effectively and they get more value, quicker. In turn, they are more likely to be retained as a customer, for longer. And at a higher value as happy customers present upselling opportunities. When comparing the data organize your customers into two cohorts, one that has completed training and one that has not yet completed training. From there you may be able to spot trends that indicate the impact training is having a positive impact on your customer base. You can export your LMS reports in order to view it against other reports. A much more convenient model is to integrate two systems so that all the information is in one place. Integrating your CRM with your LMS places both sets of data in one place. This makes it much easier to view and interpret the data, leading to better decision making. One of the challenges that eLearning professionals are faced with is the question of the return on investment of training. Those that integrate their LMS and CRM can clearly show the difference between customers that have been trained and those that have not. By comparing training data with customer-focused metrics such as the customer's health score, you can see how effective training improves them. Over a longer period of time, you will be able to see how training improves a holistic metric such as the net promoter score (NPS). This is another great data point for accurately measuring the ROI of customer training. A common first step is to look at the before and after of training programs and how positively those customer metrics are affected, and over how much time. Like your CRM, your customer support software is full of information that can be compared with your training reports. One of the key benefits of training customers is that it reduces your customer support costs. The more comfortable your customers are with your product or service the fewer support queries are sent to your support desk. It’s that simple. Measuring support query metrics from systems like Zendesk, LiveAgent, or Desk will allow you to see the impact of eLearning. Comparing the “before and after” of training should immediately show a positive result. Your LMS generates a huge amount of data that helps you to measure the performance of your customer training programs. Viewing this data in the context of other systems, like your CRM or support desks, maximizes its effect. Integrate your business systems to save yourself time and ensure your customer training reports are accurate and reliable.